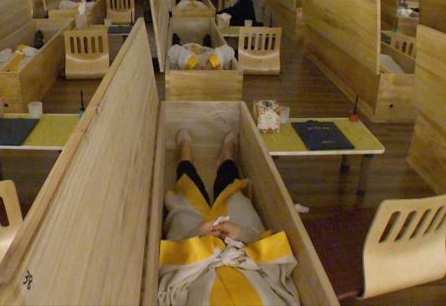 In what may be the most bizarre employee engagement initiative we’ve ever seen, South Korean workers are being guided through their very own mock funerals. Dressed in white robes, the workers sit at desks writing their writing final farewell letters. Once they’ve finished, they hug a framed picture of themselves and climb into their very own solid wood coffin. The coffin lid is closed by a man dressed in black and, left in darkness for 10 minutes, the workers evaluate the meaning of life – at least that’s the idea. Employers and advocates hope the macabre ritual will encourage workers to appreciate life and realise what they’d be leaving behind if they decided to commit suicide. 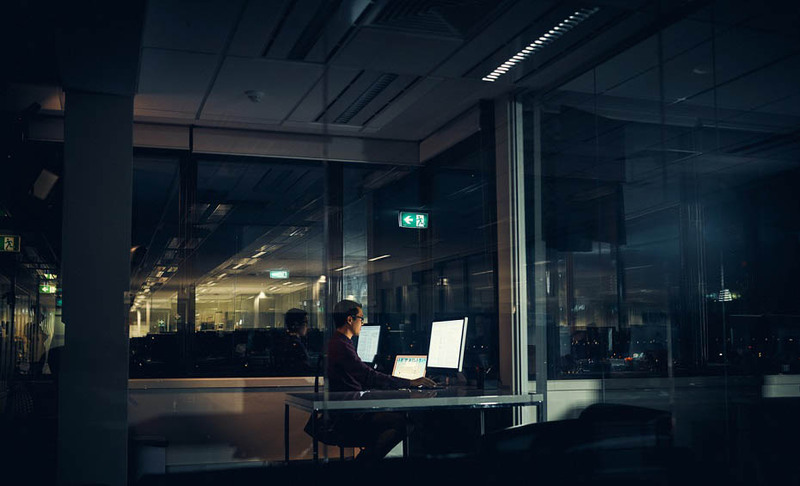 The country has one of the highest suicide rates in the world and workers often report feeling stressed and overwhelmed – unbelievably, it seems the unnerving initiative is actually an attempt to improve the situation. “After the coffin experience, I realised I should try to live a new style of life,” participant Cho Yong-tae told the BBC as he emerged from the casket.